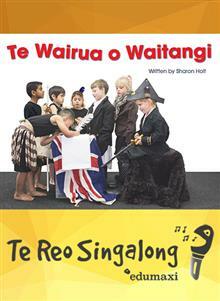 We created this book because so many teachers wanted an easy and inspirational book to use with children during their annual Waitangi focus. This book does that and more! Many teachers have been amazed at how children have easily grasped the concept of honouring the treaty by res... read full description below. We created this book because so many teachers wanted an easy and inspirational book to use with children during their annual Waitangi focus. This book does that and more! Many teachers have been amazed at how children have easily grasped the concept of honouring the treaty by respecting the Maori culture and protecting our unique natural environment. This is the first book in our series to use photographs, and we've had excellent feedback about using more photography in the future.